Back in the ‘80s, you probably fell in love with all the varied options of animated heroes, from the Teenaged Mutant Ninja Turtles to the Power Rangers. You likely played off for long hours which was your favorite and who you wanted to be most. What weapons were your favorite? Or perhaps just the best color options. But, when the Transformers came to town, suddenly the choices expanded! Now there were colors and transformative options! The choices were simply too much! Now, things have certainly changed a bit over the years. The new releases of the Transformers have given things a crazy realistic turn and some nuanced changes to the heroes we grew up with. But, that Sam Witwicky shouldn’t be the only guy on the block with the opportunity to hang out with those awesome Autobots! 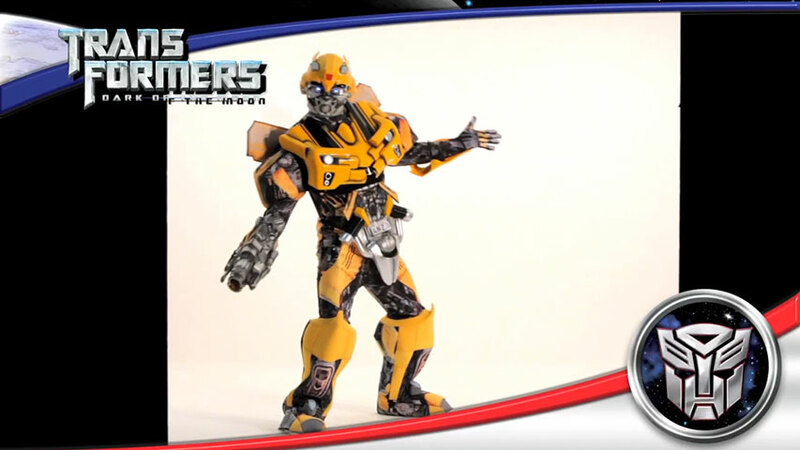 Now, that hot looking Camaro might only be able to chat through the radio, now, but that doesn’t in any way diminish how fantastic our favorite Bumbleboxing Bumblebee is while he’s working to save the galaxy from the Deceptacons. And, it is time for you to aid in the war! But, don’t worry… we’re not expecting you to be the guy who calls himself LadiesMan217. Heck, no. You are going to step into the role of hero with this Authentic Bumblebee costume w/ Vacuform. This polyester spandex jumpsuit fastens with hook and hoop connectors and have mech-print throughout to give you that Camero-on-the-Scene and combat-ready look. 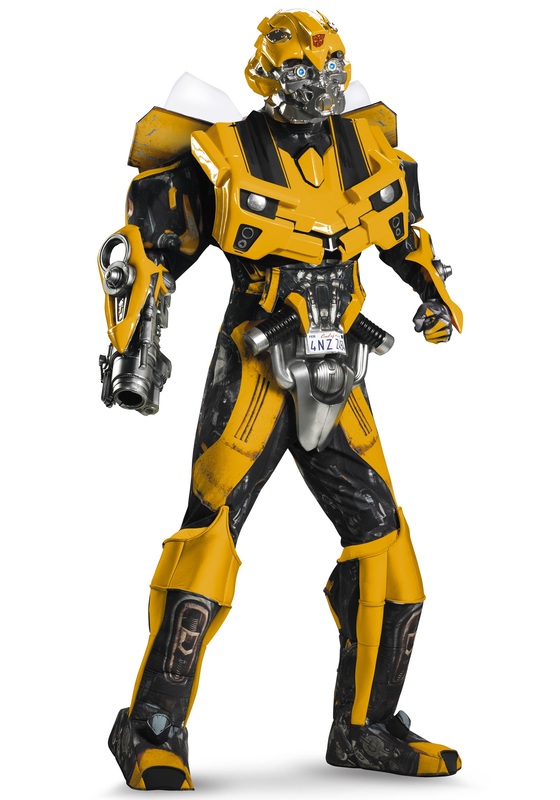 Molded plastic armor pieces attach to the jumpsuit via hooks and the molded helmet fits easily and features light-up eyes for that mystically enchanted Allspark look. So finely detailed, you might even forget that you started the day as a flesh and blood mortal… so just be careful when you run into those heroic moments! The costume is exactly as shown on the picture. It looks fantastic. The eyes have little batteries, so they glow. Though, you need to be very carefull when you put on the costume. The material (3D effect) is made out of plastic so handle with care. Our gun (right hand) doesn't fit exactly but it's not a big deal. The helmet fits great. We use the costume a lot and it still looks great. We have a special plastic box for safe transportation. Have fun! I have to give this costume a star, but I really did not want to because it was that bad. Were to start. Let's start with the jump suit. I am not a fan of foam filler. This was my first costume with foam instead of plastic or plaster. I was a bit wary and my concern was well founded. The foam pulls on the legs and while it walks better than molded pieces, it feels cheap and dulls the physical effect. The plastic molding pieces...WOW!!! Some of the pieces have a super thin strip of velcro that is glued on and they are supposed to hold the pieces in places, but the velcro gets caught on the uniform, fraying it and getting stuck. One arm piece had holes punched into the thin molding and thin elastic strings pushed through and knotted on the outside. The plastic has the consistency of the plastic they use for the cheap brand water bottles. the shoulders are entirely to wide and have no support to hold them up, so they just sag down the whole time. The door pieces on the back are made with a soft foam material and hold on by two velcro circles on the back. They flop around a lot and you only hope to get lucky that they are visible in the pictures. The helmet...I almost do not want to talk about the helmet. This is supposed to be the big piece, but it's...I wanted to hold my head in shame for being suckered into buying it. The lights are actually pretty cool, save for the part where the mask is so small they are jammed up against your cheeks the whole time. The whole head piece is so small, I think the need your hat size. the plastic they use for the helmet is about as consistent as the mask on the supermarket costumes, with the added benefit that is only covers about a third of the back of your head. I understand the premium price they have on this piece, but to be honest, this piece is so poorly constructed, flimsy, and disappointing, it could sell for half the price and still leave you wanting your money back.